The NCF Advisory Board and Board of Directors meet the 4th Weds, 7:30am at the Walkabout Coffee. 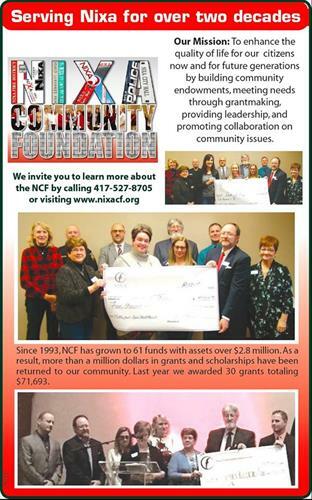 The Nixa Community Foundation was the very first affiliate foundation for Community Foundation of the Ozarks and was established in 1993. 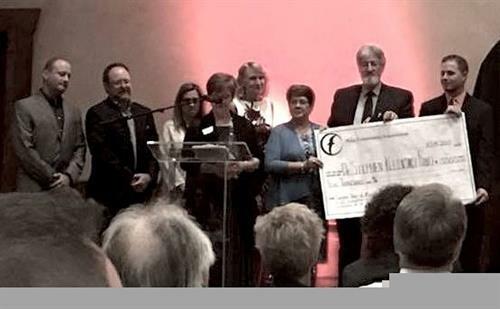 The Nixa Community Foundation acts as a bridge between donors who want to make Nixa a better place to live and those organizations and institutions whose goals are to implement that very thing. 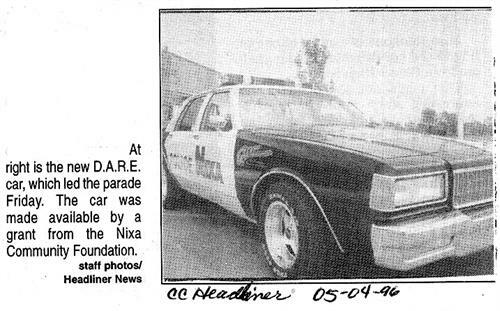 Since 1993, NCF has awarded over $2.5 million with the aim of making life better for Nixa residents and making our community a place we can all be proud of. What NCF is all about . . .
Books purchased for the "Hall of Heroes" at John Thomas School of Discovery through a grant from NCF. NCF provides grant monies for worthwhile projects for many Nixa groups, including the Boy Scouts. 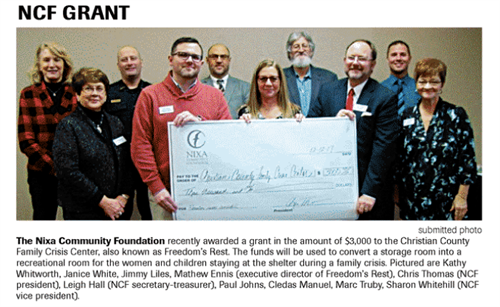 NCF donates funds for construction of a recreational room for the families staying at the Christian County Family Crisis Center.